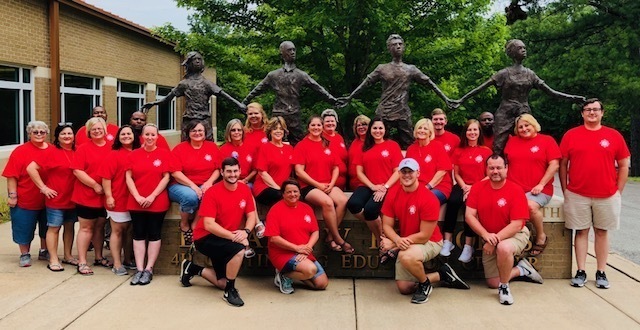 On Tuesday, July 17, almost thirty Clarendon High School teachers and support staff descended upon The Vines Center, a 4-H camp and conference center in Little Rock. For the next day and a half, they learned about the change process, time management strategies, effective ways to reduce stress, and how to create a culture of high expectations. They practiced teamwork strategies as they worked together to solve problems and brainstorm ideas for the upcoming school year. When asked to describe the culture of the school one word came up multiple times - family. While a few of their “family members” were missing because of previous engagements, they all considered it a successful and productive summer retreat and are looking forward to returning to the high school engaged and excited in August.